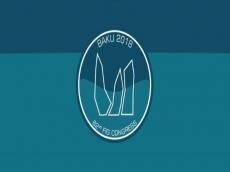 The 82nd Congress of the International Gymnastics Federation (FIG) wrapped up in Baku on Dec.3. About 300 representatives from more than 115 countries took part in the Congress, which, according to the FIG Charter, is the highest body of this structure. quarterly financial plan of the structure was approved following the Congress. During the meeting, various proposals put forward before the beginning of the Congress by FIG’s governing bodies, including the member federations, were discussed. The meeting participants also discussed changes to the rules and the Charter of the international structure, admission of new members to FIG, as well as exclusion of some federations from the structure. The venue of the next Congress was determined as well. Decisions made at the Congress will later be made public by FIG.